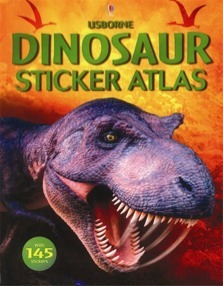 This sticker atlas contains maps of the world and 145 colourful stickers of dinosaurs. Readers can match the stickers to pictures on the maps to find out where the dinosaurs have been discovered. There is also information on dinosaurs and fossils, a page of dinosaur records and a pronunciation guide to dinosaur names on the Internet.